2, 340 polystyrene iPhones replicas is not your everyday request. Whilst we love to deal with the weird and wonderful, this was something we struggled visualise. For once, Molygran was flummoxed! Our customer Splinter Scenery contacted us with this request for a production they were involved in at Theatr Clwyd- “The Assassination of Katie Hopkins”. 2,340 polystyrene iPhone spacers, what were these were going to be used for- the audience? Decoration? In this case, the iPhone replica’s were actually used as part of the theatre set design production, they were built up to form the back wall of the stage. 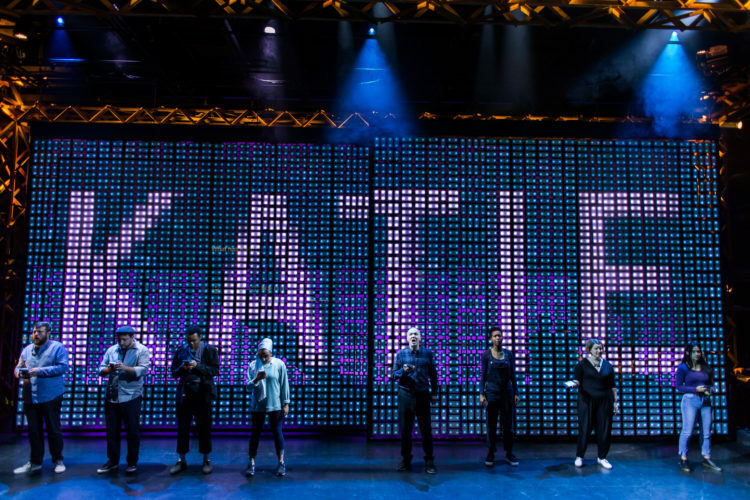 Splinter Scenery, a scenery production workshop was contacted by Theatr Clwyd for assistance in the manufacture of the set for one of their latest productions, “The Assassination of Katie Hopkins”. 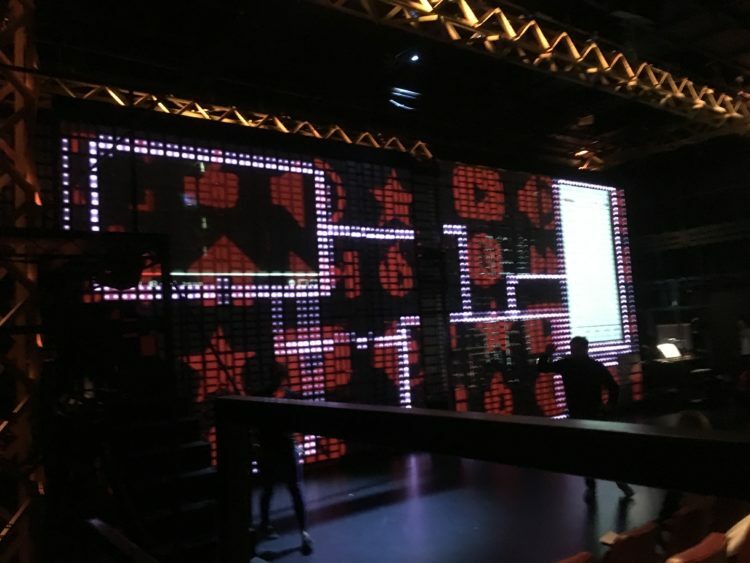 The set design for the play features a back wall of lights, all individually controlled to form the main feature of the set’s design. 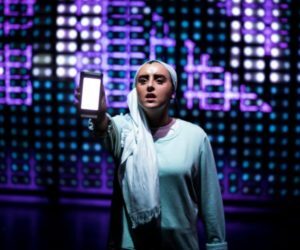 To create the wall, Theatr Clwyd required 2,340 iPhone replicas. 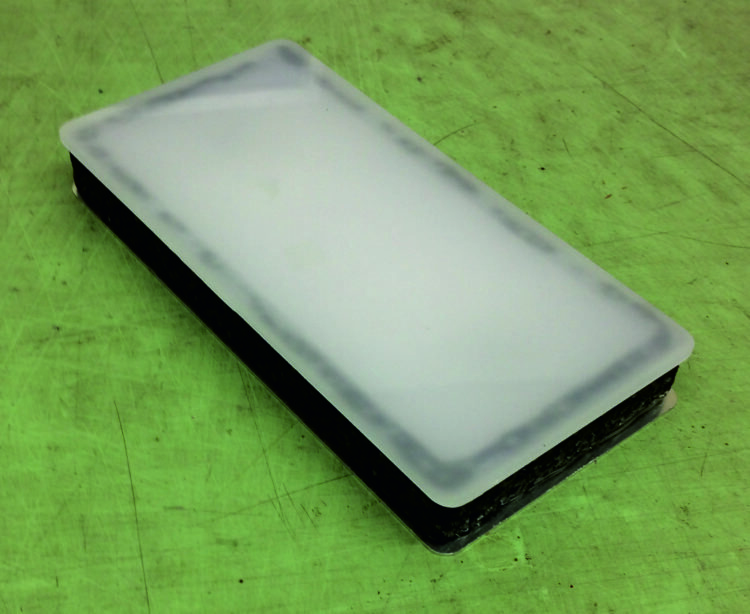 Each phone was to be made up of a 10mm expanded polystyrene spacer with an aluminium back face and a clear/white acrylic front face with LED lighting in the middle. As a theatre production, it was extremely important that the components were flame retardant in order to comply with all health and safety regulations. 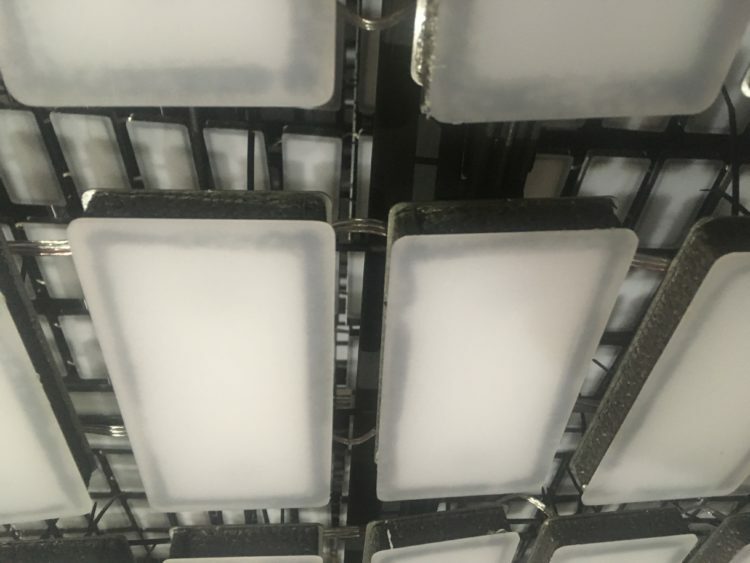 The initial request was for white polystyrene spacers painted black, however when producing the samples it became clear that the spacers were too flimsy to withstand the painting. Molygran were quick to find an alternative, suggesting grey polystyrene which would provide them with a similar finish. With flame retardancy the most important of the specification, the alternative was quickly approved. 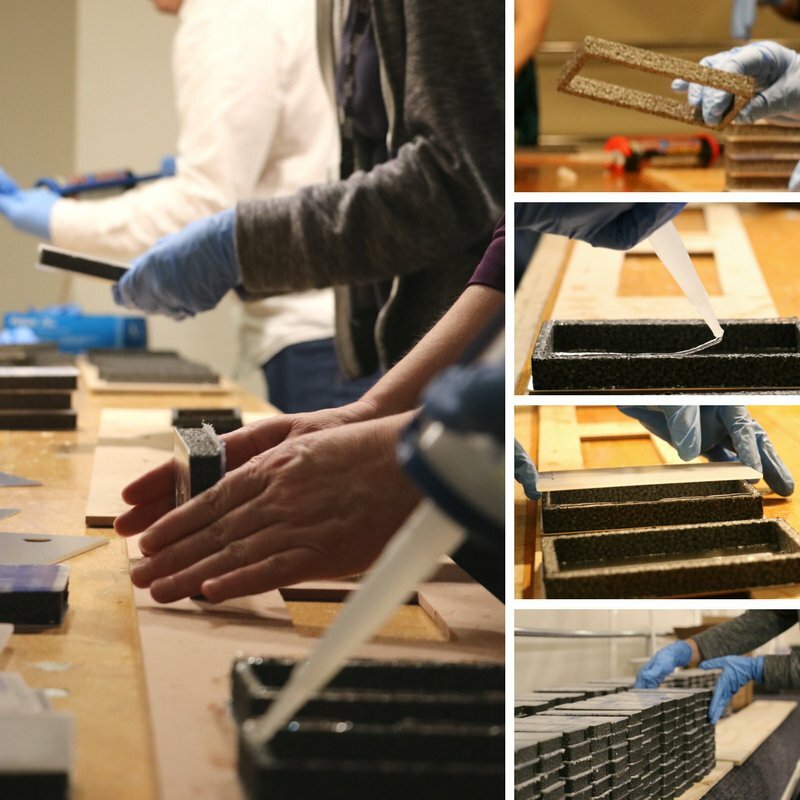 With 2,340 phones to make up the back wall of the stage, the spacers needed to be lightweight whilst retaining their stability when glued to the aluminium and acrylic faces. Made up of 98% air, polystyrene was the perfect material to keep the weight of this project at a minimum. 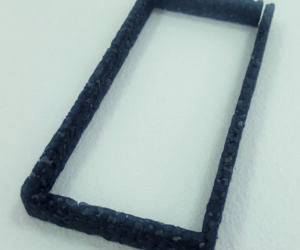 Despite the walls only being 8mm thick, they remained robust during the construction of the final iPhones. The finished result was a truly outstanding wall of lights which was the main feature of the set. Each iPhone could be individually controlled to enable wording and imagery to be pictured. Molygran worked closely with us to ensure the spacers would perform correctly. They provided pre-production images and samples to ensure we were happy with the finished pieces. We were really happy with the finished pieces once the LED lights were inserted and the faces added. "Thank you for organising all the elements of the phones for us – it was an absolute triumph!"